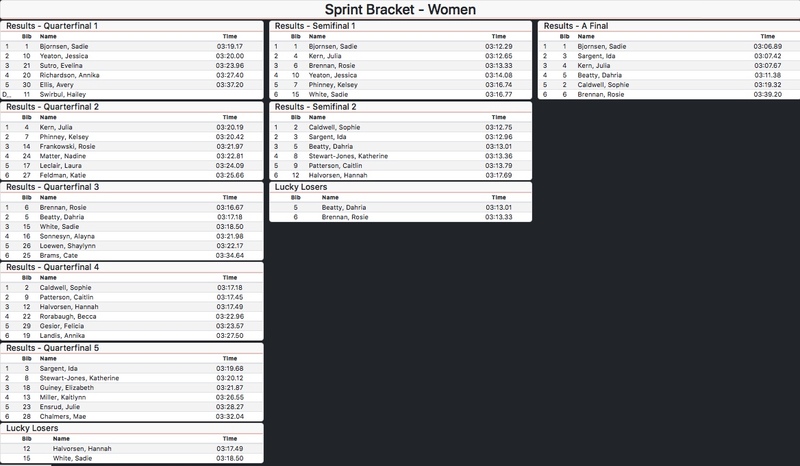 The women’s final was won by the day’s fastest qualifier (see qualification results below) Sadie Bjornsen (USST/APU). She won the final in 3:06.89. Ida Sargent (USST/CGRP) was second, and Julia Kern (USST/SMS T2) placed third. 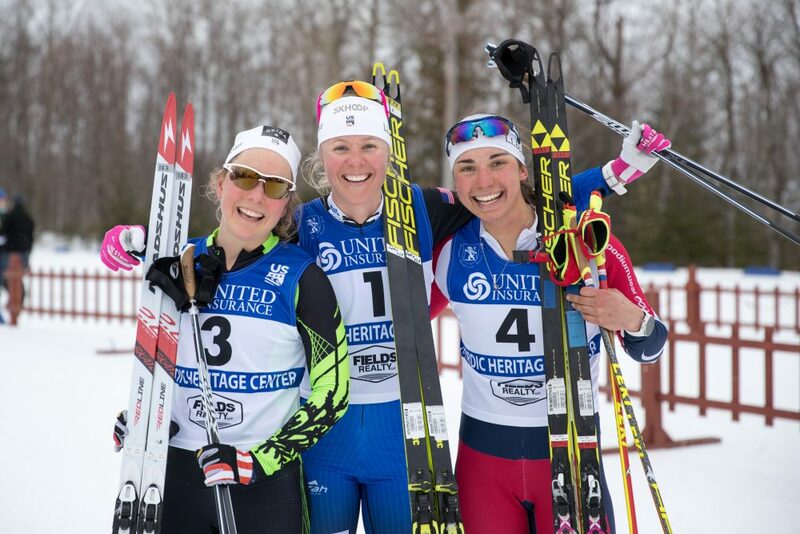 The women’s skate sprint podium from SuperTour finals (l-r): Ida Sargent (CGRP) in third, Sadie Bjornsen (APU) first, and Julia Kern (SMS T2) second. (Photo: U.S. Ski & Snowboard – Reese Brown). 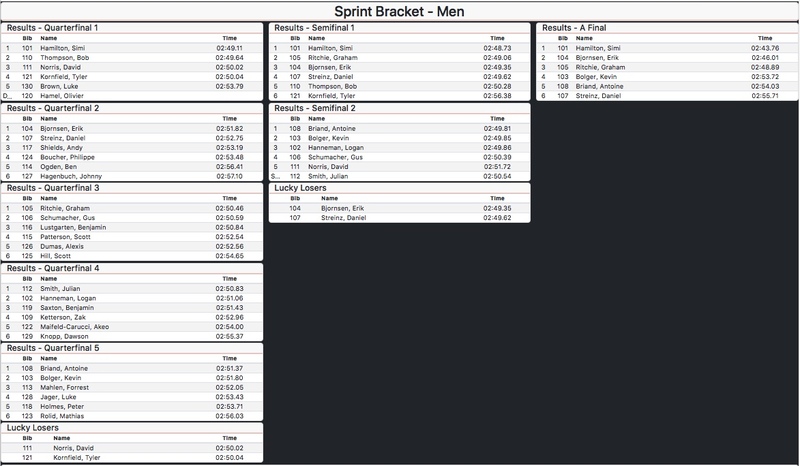 The men’s race was also won by the fastest qualifier, Simi Hamilton (USST/SMS T2) in a time of 2:43.76. 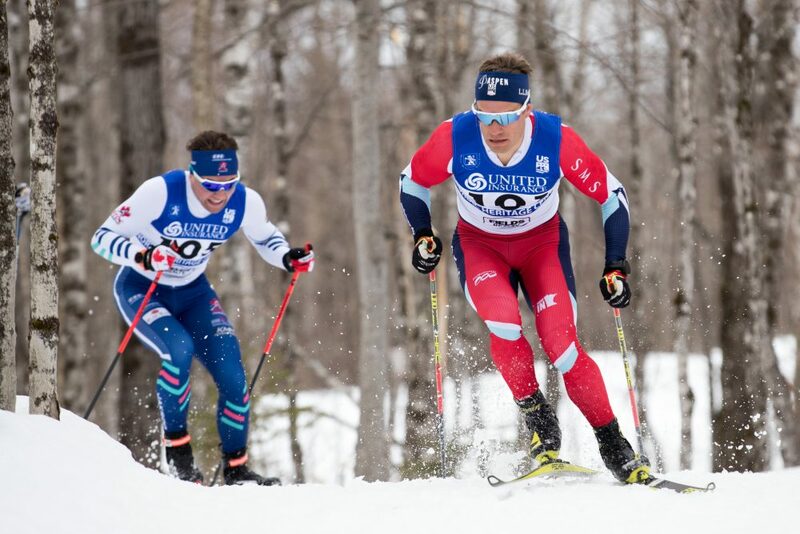 Erik Bjornsen (USST/APU) placed second and Ritchie Graham (NTDC Thunder Bay) sprinted to third overall. 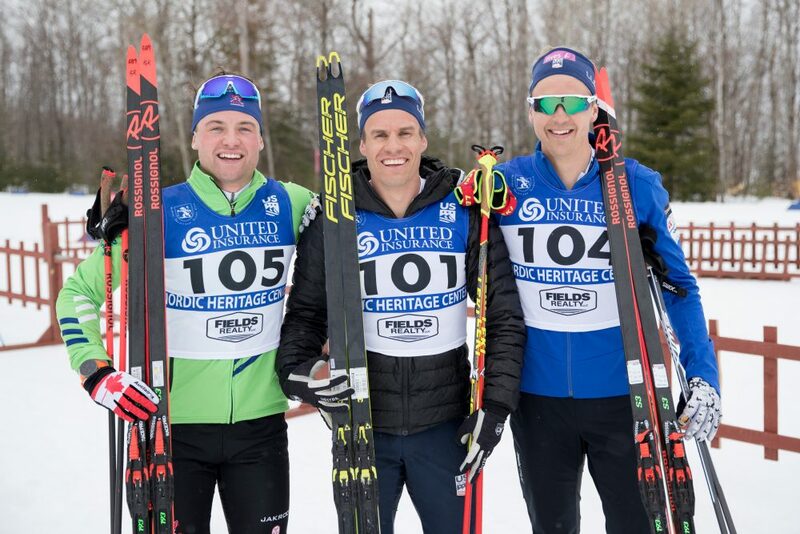 The men’s skate sprint podium from SuperTour finals (l-r): Graham Ritchie (NTDC Thunder Bay) third, Simi Hamilton (SMS T2) first and Erik Bjornsen (APU) second. (Photo: U.S. Ski & Snowboard – Reese Brown). 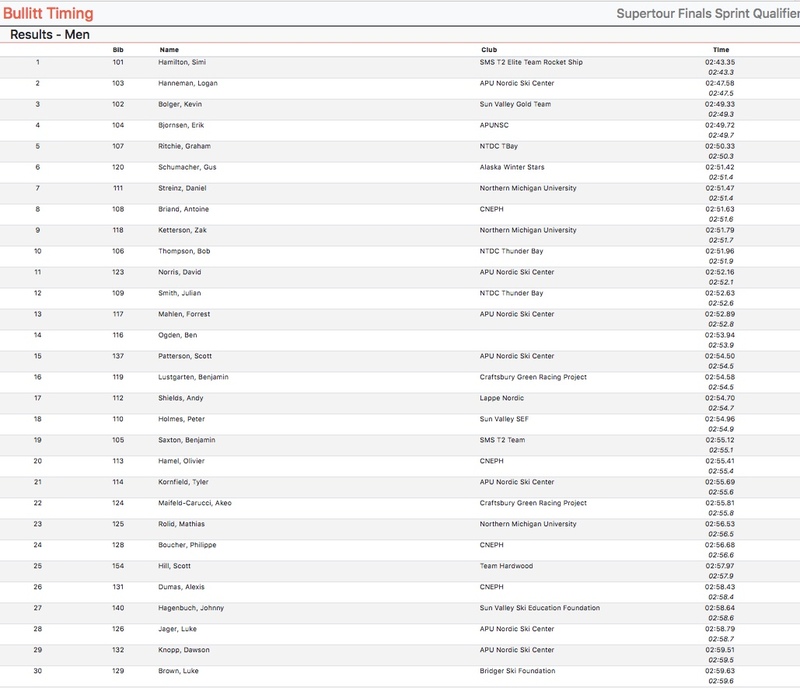 For the women’s qualifying results from this morning’s 1.4-kilometer freestyle sprint, U.S. 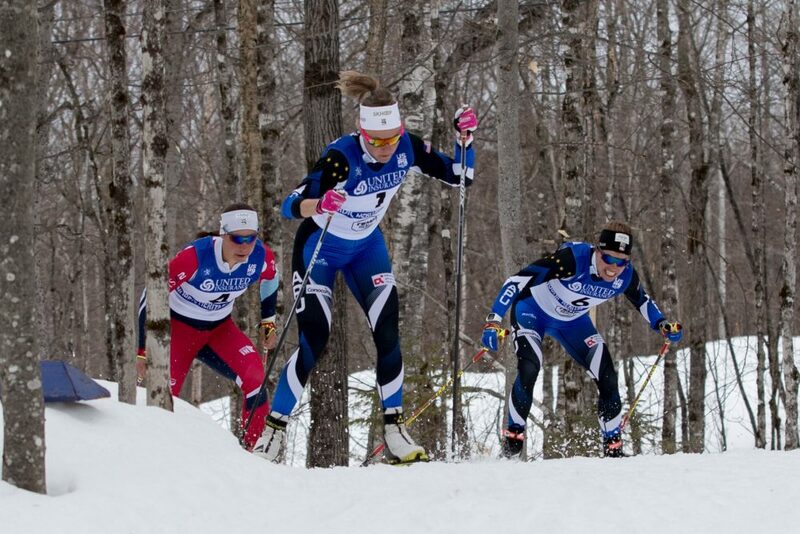 Ski Team (USST) member’s locked up the top-four fastest times with Sadie Bjornsen (USST/APU) leading in a time of 3:03.11. Dahria Beatty of the Canadian National Team qualified in fifth. Simi Hamilton of the U.S. 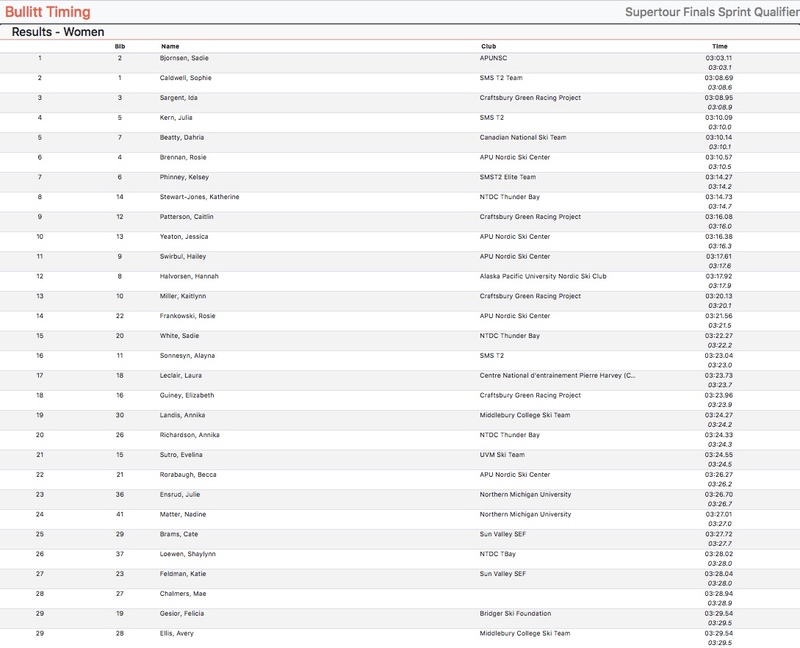 Ski Team and SMS T2 notched the fastest time in the men’s qualifier in 2:43.35. 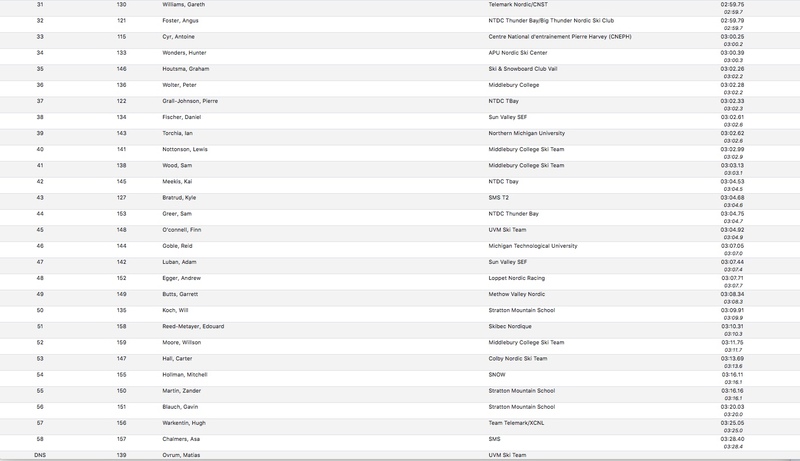 Logan Hanneman (APU), Kevin Bolger (USST/SVSEF), Erik Bjornsen (APU/USST), and Canada’s Graham Ritchie (NTDC Thunder Bay) were second through fifth respectively.